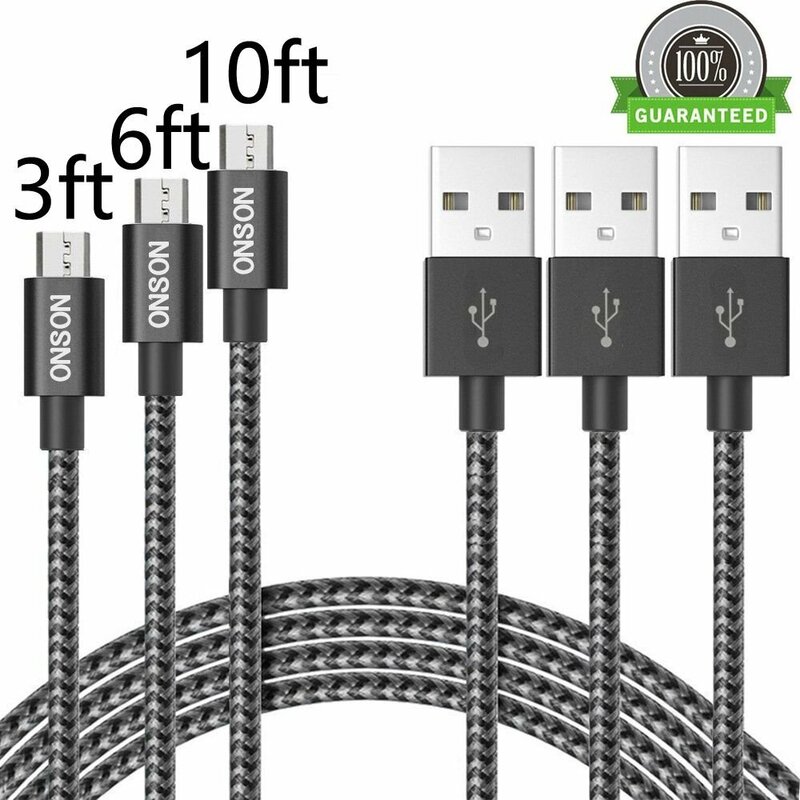 Home › Electronics › Onson 3Pack 3Ft 6Ft 10Ft Micro Usb Cable Premium Micro Usb Cable High Speed U..
Onson 3Pack 3Ft 6Ft 10Ft Micro Usb Cable Premium Micro Usb Cable High Speed U..
Universal Compatibility: Android, Samsung, HTC, Motorola, Nexus, Nokia, LG, HP, Sony, Blackberry, MP3 or any Micro USB compatible devices . No Error Messages. Fast Charge and Data Transfer: Sync and Charge simultaneously at fast speeds on your Micro USB compatible devices. Our technology teams make great improvement for the cables performance and 100% guaranteed the safe for your device. 1-yr Warranty: Enjoy refund or perfect replacements without any condition within one year.